Business intelligence systems can be used to improve forecasting and make better business decisions. When circumstances around you are constantly changing, it’s important to have a system you can rely on. 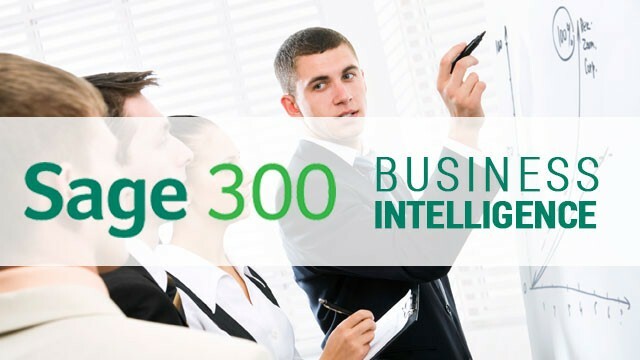 Data from your Sage 300 ERP can be used in conjunction with other modules such as CRM, HR, and more, through your business intelligence system, to create useful and insightful reports for decision makers. Forecasting typically asks three important questions. When will you close the sale and take the order? Prior to the advent of business intelligence systems, accurate forecasting was difficult. Delays in reporting data meant delays in knowledge and that impacted business forecasts. Now, however, many BI systems offer real-time data updates throughout the business as it is synchronized through web-based connections. The right BI system can make your business much more efficient. Dashboards that provide company leaders with information that’s updated daily empower them to make smart decisions based on accurate, real-time data. Think about it: procurement can receive better forecasts, so they save money by ordering in closer to actual on raw materials. Production can ensure they are ready to go based on the best estimate of what is needed. Sales and marketing can use this data to target customers and industries more effectively by trying to sell more of what’s already selling well. Accounting and finance can do a better job at managing the company’s finances when they have information ready for meetings and decisions with sage 300 module of financial management. Transactional data that flows from individual systems can be easy to access, but it isn’t of much value when it exists in separate spreadsheets. The real value is derived when all data flows can be mixed, matched, sorted and used in one system, one dashboard, and one set of integrated reports. The success of a comprehensive business intelligence system is it can take all of these disparate data flows and merge them into one comprehensive source. You’re no longer chasing down separate spreadsheets or reports; it’s all in one spot. It’s a great time saver! With the right data, you can better manage your business. Learn more on our website or contact us today.